At the end of my last article, (The Explosion of Dry Shampoo Launches Trend Watch UK) I had promised to post the summary of my findings of the best products. So here it is, I have broken down the 500+ products available into top choices within the prestige/luxury segment by brand positioning and product subcategory : Iconic Salon Upscale, Niche Salon Upscale, European Botanical, Eco-Luxe, and Texturizing Dry Shampoo. To get here, I read the ingredient lists on over 80 products and tested over 30 products. The short list was created by going through a slew of product reviews, and reading through countless brand stories. 1. An essential STYLING TOOL that provides instant texture and body. Gritty, wavy texture out of a Victoria Secret shooting at the beach, and body to lift up the flattest hair or provide grip to hold a style in a clip. 2. A Style EXTENDER. For example if you paid for an expensive blow out, or style and want it to last a couple of extra days. You can solve the oily roots easily with a gentle dry shampoo. 3. A time SAVER- you have just left the gym and your hair is looking flat and damp but you have to rush to work and don’t have an extra hour to spend on the drying and styling process that comes after washing it. Before we get started- I did apply 2 filters to narrow down the list: Ingredients, Pricing. Any product with aluminum starch was automatically disqualified. Aluminum starch, (also known as modified food starch) is frequently used as an anti-caking agent in almost all of the mass market dry shampoos, and surprisingly, in some of the upscale brands. In small amounts, it is supposedly not harmful, however, the element itself is a proven toxic to the nervous system and aluminum compounds are suspected respiratory hazards. As much as I try to avoid breathing in what I spray around my head, I always inhale some amount. Also, the scalp absorbs chemicals 4 x faster than the rest of the skin on the body. That is enough reason for me to want to avoid exposure to this chemical. Another thing to look out for on the ingredient list is where the ingredient “fragrance” is located on the list. It needs to be as far towards the bottom as possible. Synthetic fragrance often contains chemicals that can cause skin irritation, rash, dizziness, and headaches. Drybar for example had fragrance around the middle of the list, and this product gave me an INSTANT headache. Not to mention it also contains aluminum starch. And last, I also set a pricing filter at +100% vs average price point available at Sephora (which is already high as Sephora does not sell drug store brands). The key criteria I used to evaluate the products were: Oil absorbing effectiveness, appearance upon application, scent, and in the case of the texture/dry shampoo- the effect should be closer towards gritty and airy, not gummy. My personal preference for scent is towards light and natural, but I considered pleasant and original scents into my evaluations. To make it easier to try any of the brands that may spark your interest I have also included the retailer where it is physically available. 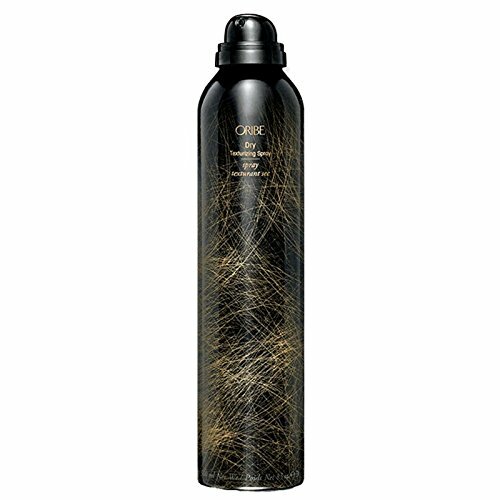 Texturizing Spray/Dry Shampoo: Bumble & Bumble Dry Spun AND ORIBE’s Dry texturizing shampoo. Both products have a powerful aerosol valve to provide airy volume at the roots, and both provide the right balance between oil absorption and texture. Dry Spun uses silk starch, while rice starch is much more prevalent among other brands. Other “all in one” products such as Drybar triple sec were too strong on the texture and became gummy. Bumble and Bumble is almost fragrance free and goes on completely transparent. It is found at specialty salons and at Sephora. Price: $32 for 4oz. 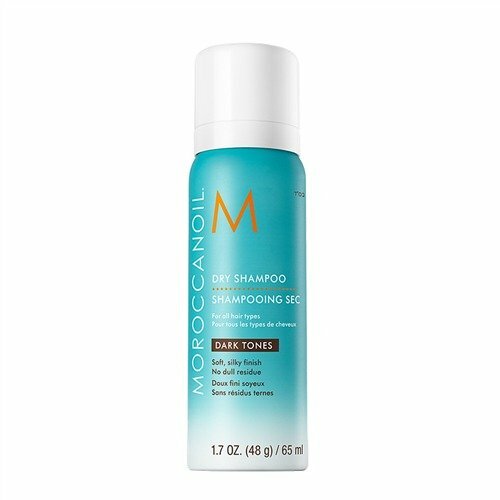 Iconic Upscale Salon: Moroccan Oil Moroccan Oil's Dry Shampoo is available in both light and dark tones, goes on silky smooth, and has the distinctive and pleasant argon oil aroma common to the other product lines. It is a great option as a style extender and unlike Kerastase, Matrix, Redkin, and Biolage does not use aluminum starch. Available at specialty prestige salons and Sephora. $26 for 5.4 oz. European Botanical: KLORANE Gentle Dry Shampoo with Oat Milk In reality I should not include this product since the formula includes Aluminum Starch. Which really is a shame, because otherwise this award winning product is excellent. It is gentle, mild smelling and holds true to the claim of no white residue- but I am REALLY bothered by the contradiction of a brand who markets itself as “pure botanical care” yet includes this toxic and unnecessary ingredient. $20 for 3.2 oz. Eco- Luxe: Rahua Voluminous Dry Shampoo AND Green & Gorgeous Organics I was surprised to find so many products on the market in this segment, and at price points well above the average for the upscale “non- green” brands. Since we are talking about 100% natural products, the variables in compositions are much more limited with the most common active ingredients as either one of the following: Arrowroot powder, tapioca starch, brown rice starch, + a type of clay. Since most of this segment is sold exclusively online I made a short list to test based on online visibility: Amazon Beauty (Rahua), Captain Blankenship, Green & Gorgeous Organics, One Love Organics, Lu Lu Organics. Visibility was based on the following: Availability within major retailer’s online platforms, (not only the online retailers dedicated to green/organic cosmetics), volume of blog reviews, high profile beauty magazine editorials. Rahua Voluminous Dry Shampoo: INGREDIENTS: Clay, Organic Tapioca Starch, Star Anise, Vanilla Planifolia. PROS: 1) The scent. Earthy and slightly nutty, it reminds me of Ayurveda massage oil. It also comes in an ingenious non-aerosol squeeze vaporizer, which is the closest you are going to get in this segment to the uniform application and convenience of a real aerosol can. However, I have to say it is NOT close at all to the application of an aerosol and is the biggest drawback vs the non-green offers. 2) Scalp friendly. Star Anise is used for it's antiseptic and tonic effect on the scalp, and the oil absorbing ingredients are less drying than others. CONS: 1) Although the tapioca starch is darker than the stark white arrowroot power used by other brands, it is still light colored and has a matte effect on the hair even when rubbed in well. 2) The price. At $17 an ounce it is one of the most expensive brands of dry shampoo on the market. Which could make sense for their other product lines of classic shampoo featuring the rare "rahua" ingredient harvested in the Amazon jungle through "fair-trade" practice, but this product doesn't have it and moreover rides the on claim to prestige associated with the brands other products. Physically available at: Bloomingdales in Aventura (in South Florida) Otherwise it is available online at Sephora, Barney’s NY, Anthropology, and all the major “green” online retailers. $32 1.8 oz. PROS: 1) The scent. Light, refreshing, clean. Which could be expected from the Bergamot, and the contrasting lavender works unexpectedly well. 2) The composition. All their lines contain Horsetail Powder which has tonic effect on the scalp and is also known to help strengthen the hair follicle. The Midnight Black formula uses Black Clay imported from Australia which not only helps it blend in better with very hair, it is also more effective at absorbing oil (be aware it is a little gritty as it is minimally "processed" ). 3) The application. A brush can be purchased separately, which works much better to blend it into your hair than simply sprinkling it into your hands to rub it in (or you can use your own cosmetics brush). 4) Product range. Very dark hair version which comes in 2 choices for fragrance and a non-scented version. The classic versions are ok for darker hair because they are not white (brown rice starch is a main ingredient). but better suited for lighter hair that just needs a refresh. CONS: It's difficult to try before you buy (like all the brands within this segment). The only major brick and mortar retailer to carry the brand is FREE PEOPLE (Urban Outfitters) who in most locations only sells cosmetics on their online platform. Otherwise Amazon. $30 4 oz. In sum, both brands are good and depend on the needs of your hair type, as well as personal preferences for scent, texture, and application convenience. This gives you an overall snapshot of the best product options within each segment. If I had to highlight one brand overall I would mention Bumble and Bumble. It holds the largest assortment to cover most consumer needs and preferences in an accessible retail format. It carries 4 different colors (blondish, brownish, black, white) in the classic “powder” range, plus non-aerosol options, and a separate subcategory of “texture.” The offer for the entire brand is clearly organized by styling needs within the backwall, making it much easier to navigate the brand vs the rest. And, If I had to highlight one retailer, I would mention that Sephora is doing a great job at providing such a broad range of brand positioning with the “best of” of such a niche product segment. My only complaint is the lack of accessibility to test the 100% natural products only available on line. This a growing segment- ESPECIALLY for the dry shampoo segment where the chemicals have a potentially higher impact and the where the consumer aversion towards chemicals is intensifying. And on that note, I can’t end this post without including a point on AVOIDING excessive usage of dry shampoo. Yes, it is essential for every woman’s beauty kit. It is also an awesome time saver (and money for those who do frequent blow outs), and it can give your hair amazing body like no other product. BUT, it is not meant for frequent use (more than 3 x week) and it is not a replacement for washing your hair. Furthermore, it is well known that the chemicals in aerosol cans are very toxic- to us and to the environment. And, even if you opt for a non-aerosol (which can be messy and is much more difficult to apply evenly), the residue that can build up on your scalp can clog pores, and slow hair growth. If you really need to use it on a regular basis, then you should be using a clarifying shampoo twice a week to remove buildup. And if you also want to use it on a frequent basis, then an all natural product with an astringent ingredient would be the safest for your hair and scalp. I hope you found this review helpful, and please reach out if you have any specific questions on any brand or to receive a list of brands that use aluminum starch. Note, I did not include any mass market brands in my review. After an hour product checking at my local Walgreens I noted that most of them use aluminum starch, or are strong on synthetic fragrance.